Fantastic price to get your business up and running in your own space! Attorney? Wedding Planner? Stager? Accountant? Seamstress? Looking to start or move your small business? 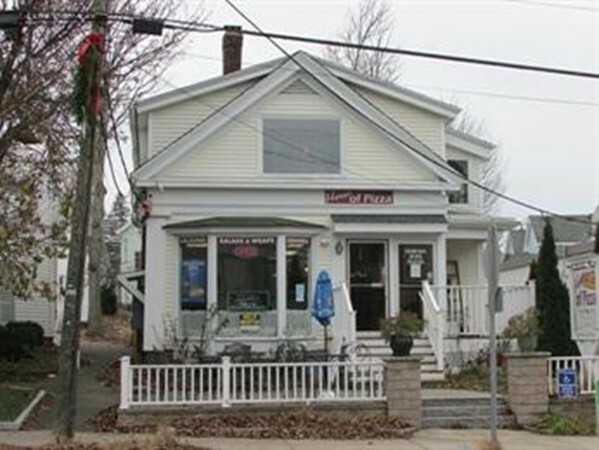 Here's your chance to be in a high visibility downtown location next to the Post Office and Dunkins, with lots of foot traffic. This 2nd floor side space is bright and consists of one large room and a small adjoining office, at about 440 sf total and is available for $500/month plus utilities. Gas heat, replacement windows, common restrooms. Tenant is responsible for individually metered utilities - heat, water, sewer, cable, internet, electric - as well a a prorated share of the common utilities and snow plowing costs. Small parking lot in the back of the building with spaces on a first come, first serve basis. Signage allowed on windows, doors and shared sign at front of building. Other tenants in the building at this time are a law firm, barber, hair/nail salon and restaurant. No elevator in the building.